Resolutions, champagne toasts at midnight and Kathy Griffin harassing Anderson Cooper on CNN: There are plenty of New Year�s Eve traditions, some better than others. But one of the most heartwarming is that of the party, the gathering where we all look forward to the new year with hope (and, in some cases, plenty of alcohol). Some of your donors may prefer to ring in the next revolution around the sun at home, with family and maybe a couple of friends. But others may be looking for that reason to celebrate with thousands, that excuse to head out into the world and welcome a new year in a new locale surrounded by new people. You can make that happen. 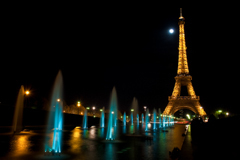 At Mitch-Stuart, Inc., most of our flexible charity auction travel packages can be used at any time of the year. That can mean summer trips to the Caribbean, Spring Break sojourns to Southern California, or even once-in-a-lifetime tours of Europe. It also means the chance to be one of the thousands celebrating New Year�s Eve on television, rather than watching the revelers from home. 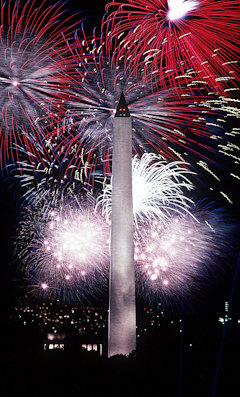 Here are some of our favorite NYE destinations, and how we can help send your donors there. 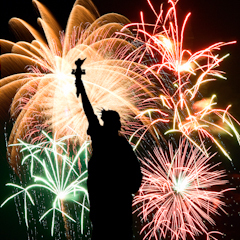 Everyone knows about the celebration in New York�s Times Square, of course. But if hanging out in a quasi-confined space with hundreds of thousands of fellow partygoers and a ton of confetti sounds overwhelming, there are plenty of other places to watch the clock count down. 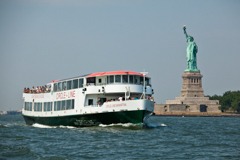 Whether it�s the Harbor Lights cruise and its views of the Manhattan skyline or the open bars at clubs around the city, New York has a party for every partier. 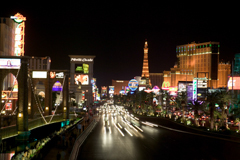 In Las Vegas, the Strip shuts down for New Year�s Eve, becoming a packed pedestrian plaza, with fireworks being shot off from the roofs of the casinos lining Las Vegas Boulevard. But the real shows are inside the city�s nightclubs and on its stages, with star DJs, rock bands and even comedians playing in Sin City for the evening. For the best view, the LINQ High Roller will take riders 550 feet above the Strip for great views, champagne toasts and, in VIP pods, premium bar service. 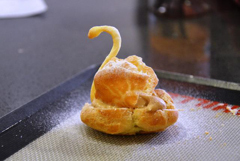 Those looking for a warmer clime can also head to the Big Easy for the holiday and enjoy the Fleur-de-Lis Drop from Jackson Square. The city also has its own firework show over the Mississippi River as well, but the biggest draw to the Crescent City � as usual � is the French Quarter, where clubs and concert halls give visitors the chance to dance the night away. The day after, make sure to stop in to Emeril�s Restaurant for the traditional good luck dish, black eyed peas. 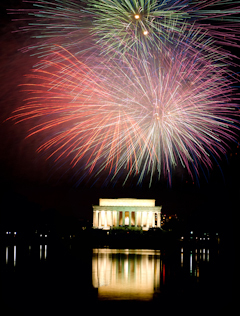 No matter where you or your donors ring in the New Year, we hope it�s filled with good works, great trips and the discovery of new cultures around the world. May all of your galas run smoothly, all of your auction items sell and your charitable deeds help make the world a better place. 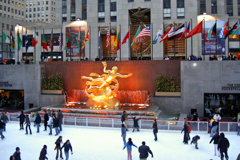 Philadelphia: Ice skating at Rockefeller Center, the Christmas tree lighting, the store window displays, reenacting scenes from �Miracle on 34th Street� on 34th Street itself � the reasons to seek out New York City for Christmas are mostly well-known. That�s why tens of thousands of people go there every year. 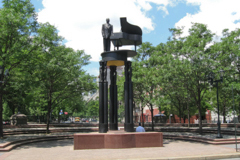 For a more relaxing experience, think about staying a short train ride away in the City of Brotherly Love. Philadelphia has its share of seasonal fun to explore, like the Christmas Light Show at Macy�s and the RiverRink at Penn�s Landing, with its views Delaware River and the Ben Franklin Bridge. 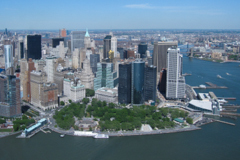 Plus, day trips to Manhattan are a snap; travelers can head into the city by train during the day, then escape it when the hordes of tourists become too much. 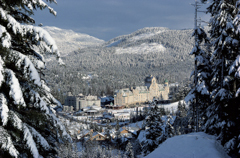 British Columbia: The Western Canadian getaway is not only a wintery wonderland, but our package to Whistler is also great for a family, with a one-bedroom condo suitable for two adults and two children. The area�s skiing is on par with the best of Europe, and Whistler averages almost 40 feet of snow per year, meaning that a December trip will very likely yield great conditions for downhill, cross-country or snowboarding. 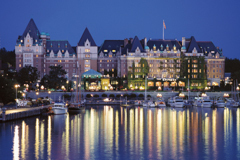 Back at the Fairmont Chateau Whistler, meanwhile, even the pickiest eaters in the family will find something to love among the resort�s culinary offerings, like The Grill Room and The Mallard Lounge. Of special distinction: the Portobello Market and Fresh Bakery is a great quick-stop for families, while the Spirit Room inside the Mallard Lounge is where the liquor connoisseurs congregate. Southern California: The lower half of the Golden State has a combination of traditional-style celebrations and warm weather seen in very few other places. Those looking to escape the biting cold can stretch out on the beach (and take pictures that will make friends at home jealous! ), of course. 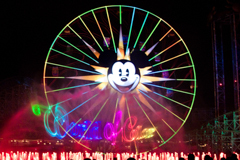 But there is also seasonal fun to be had; Disneyland in Anaheim offers a snowy Christmas parade every day, and fireworks light up the night sky on a regular basis as well. 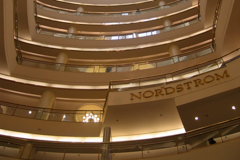 In Los Angeles, the shopping centers combine the outdoors, the spirit of the season and the consumerism of the season to bring patrons events like �A Hollywood Christmas� at the Grove and the Rodeo Drive Holiday Lighting in Beverly Hills. And the traditional house-lighting shows in Altadena along Christmas Tree Lane will remind anyone of Christmases past � just ignore the illuminated palm trees in the other parts of the city. AAA projected that more than 43 million Americans took to the roads, flooded airport terminals and even stood in long, snaking lines at train stations to get out of town for Thanksgiving in 2013. For many of those who traveled over the holiday, the trips were to see relatives, all gathering around a table somewhere for turkey and pumpkin pie. Next year, help your donors make that �somewhere� a little more exciting. New York! 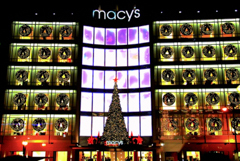 Don�t make your donors watch the Macy�s Thanksgiving Day Parade on television next year. 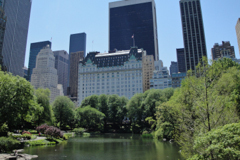 Send them to the Big Apple instead to celebrate the holiday in style, staying at the Plaza (in a Rose Suite, no less!) and shopping at Tiffany�s with a $1,000 gift card. 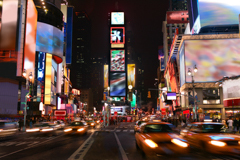 For supporters who�ve already taken care of Christmas presents, there are NYC packages that include brewery tours, Broadway show tickets, and even trips through the city�s delis. The Caribbean! If the first blasts of winter have left donors depressed, tell them to leave the galoshes behind and find sand between their toes rather than snow. 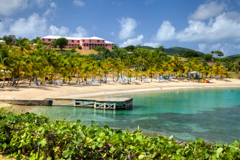 Mitch-Stuart offers trips to locales throughout the region, but all-inclusive resorts like Bolongo Bay in St. Thomas will take care of everything from dinner to entertainment, while those looking for luxury can find it in Barbados at the Fairmont Royal Pavilion or the old-world charm of The Buccaneer in St. Croix. The Rockies! 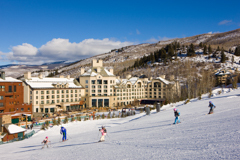 For those who seek out the cold of winter to experience the thrill of careening down a mountain, Thanksgiving is a perfect time to hit the slopes of ski resorts in Colorado and other regions. Send donors to any resort in Vail or Keystone, Colorado, Lake Tahoe, Nevada, or Jackson Hole, Wyoming. 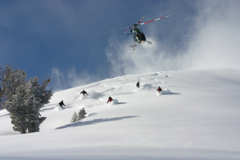 A day of negotiating �double black diamond� ski runs will burn off any caloric surpluses from a massive Thanksgiving dinner. 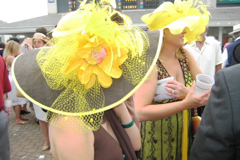 Getting ready for spring galas? 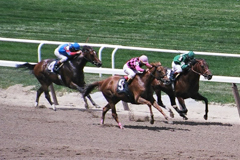 Want to add that �wow factor� to your non-profit benefit auction? Reach out today to a Mitch-Stuart rep! The Louvre? Nice enough, sure. The Guggenheim? Alright. MOMA? Of course. 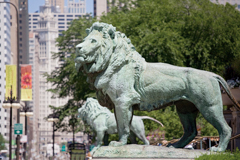 When one travels, it�s easy to head to one of the celebrated homes of high-minded exhibits and historically-important collections. But sometimes, it�s more fun to be surrounded by plush bunnies. Or massive neon lights. Mitch-Stuart, Inc., can send the winners of gala auctions to destinations far and wide with its nonprofit charity auction travel packages. 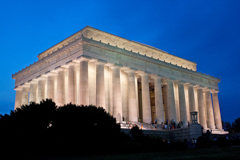 Some of those places, like New York, Washington D.C. or Paris, are known in part for their vast collections of art, scientific touchstones or even sporting memorabilia. But not every museum is a depository of important cultural or scientific artifacts. Some are homes to strange blocks of curios, while others are repositories for the unloved or unappreciated pieces of lives past. 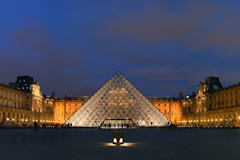 When in one of these top tourist destinations, look out for these off-beat museums. It should surprise no one that the Los Angeles area, home of the human oddities on Hollywood Boulevard and that repository of quirks and quacks, the movie industry, features two of the strangest museums around. On Venice Boulevard in Culver City, the Museum of Jurassic Technology features exhibits like �The Stink Ant of the Cameroon� and �The Horn of Mary Davis of Saughall,� though there�s still a debate as to whether the museum itself is a serious endeavor (and of what theme?) or a parody of private-collection museums. On the other side of the L.A. basin, the Bunny Museum in Pasadena contains a collection of more than 30,000 rabbit-related items, including stuffed animals, collectible figures and even a small crew of �house bunnies,� pets of the owners. In Boston, the Museum of Bad Art features anywhere from 50 to 70 pieces at any one time, each showcasing what happens when the best of intentions meets the worst of talent. �Works� like �Lucy in the Sky with Flowers� and �Mama and Babe� quite obviously come from a good place, but also can be tough to look at. The museum ends up being a tribute to good intentions as much as a place to critique the less-talented, though there�s plenty of opportunities for the latter, as well. 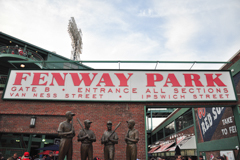 Now with two locations in the Boston area to visit, MOBA (as it�s abbreviated) draws fans of the off-beat and outright awful year-round. 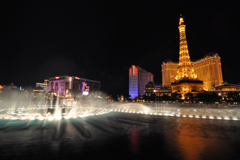 Las Vegas is underrated in terms of its high art scene (any city with as much money as Vegas will have a collection or two worth seeing, like the Bellagio Gallery of Fine Art), but its two best museums have more to do with the city�s history than any imported idea of art. Downtown Las Vegas is home to the Mob Museum, a collection of exhibits that trace the rise and fall of organized crime in America. It is home to, among other artifacts, the actual wall where the St. Valentine�s Day Massacre took place (the �massacre� involved Al Capone-hired killers in Chicago) and is housed in the former Las Vegas Post Office and Courthouse. Up the road is another Vegas-centric collection, the Neon Museum, which hosts almost 150 of the city�s signature neon signs from casinos and other businesses. Guided tours take visitors past signs as old as the Moulin Rouge, which was billed as the country�s first interracial hotel in 1955, and as recent as the O�Shea�s Casino signage removed during the LINQ renovations on the Strip. Want to give a donor the chance to visit a unique collection for a one-of-a-kind photo opportunity? Reach out to a Mitch-Stuart, Inc. representative today! At Mitch-Stuart, Inc., we excel in providing organizations with consignment charity auction travel packages. But while having the right mix of items (including trips that can bring the �wow factor�) at an auction is important, those packages are only worth as much as donors are willing to bid. And in order to get more bids, it helps to get more people in the door and have more friends and supporters ready to buy. How does a non-profit do that? To paraphrase Alec Baldwin in �Glengarry Glen Ross�: Always be talking. Disappearing for months at a time, only to pop up with an invitation to a party can make an organization look like it only wants to involve its supporters when there are bank accounts to fill. But whether it�s before the gala, during it or the aftermath, there�s always reason for a charity to reach out and chat with its biggest backers. Approaching donors to try and sell gala tickets can feel intimidating, especially if it�s the only time you communicate with them throughout the year. In the months leading up to a big benefit event, reach out to your contributors and allies with news about your organization. Win an award? Send out an email, thanking everyone for their support which allowed you to achieve this honor. Through social media, engage your friends with both cause-related content and behind-the-scenes information on how their money is helping others. And when it is time to send out invitations to the gala event itself, reach out individually to the donors whom you really want to see on the event night. Once the doors are (finally!) open, it might be tempting to sit back, relax and enjoy the show, but this is the time when you have your biggest supporters all in one room at the same time. Get out and meet them! Mingling with your biggest supporters is a way of making them feel welcome at your event, while getting to personalize your mission and fundraising messaging. If you�re shy or reserved, just remember: These are your friends. These are the people willing to buy tickets, to donate their time and their money, to support you and your cause. You�re among compatriots here. After the decorations are put away, the silent auction items are distributed and the last of the leftover food has been packed up, the job is not over. It�s time to reach out to donors and thank them. But while your parents may have taught you that proper etiquette involves sending a note, the thank you phone call gives you a chance to not just relay your appreciation, but also interact with the donor. 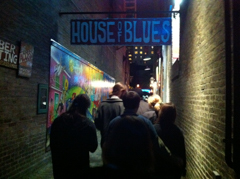 Find out how the event went from the point of view of an attendee. Learn what drew someone to your cause in the first place. Many times, such conversations can even lead to an extra donation or two � and it certainly allows a supporter to feel heard and cared for. 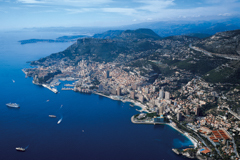 Many of the trips in the Mitch-Stuart catalog take donors on �dream vacations,� to the types of destinations that occupy the covers of travel magazines and the forefront of our travel thoughts. Sending contributors to New York City, Las Vegas or even Europe can fulfill wishes while also bringing in sizeable donations. 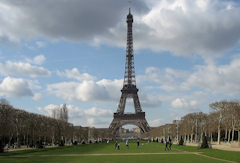 For some travelers, though, the �expected� may not be enough. Maybe they are seasoned travelers who have been all over the country. Perhaps they�re looking for a trip that can set them apart, one that�ll get the attention of everyone to whom the bidder tells the story. Or maybe the donor is shopping for a younger family member, one who may be more interested in a trip that doubles as an adventure. If that�s the case, it may be time to talk about Bali. An island in Indonesia, Bali has become a hot destination for travelers over the last few years. 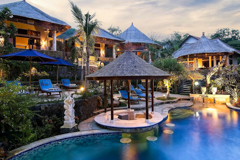 Prestigious travel magazine Travel and Leisure gave Bali its �Best Island� award in 2010, and it is regularly singled out for its stunning beaches in different guides. 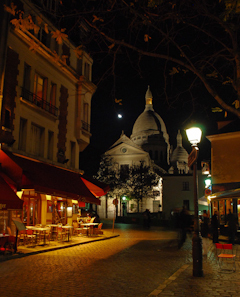 Being used as a setting in 2010�s �Eat Pray Love� film adaptation certainly hasn�t hurt its reputation, either. Of course, as someone taking advantage of one of Mitch-Stuart�s charity auction travel packages, though, it�s about the �wow� factor. 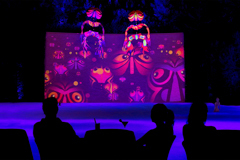 So what is it about Bali that can get an audience to gasp? The culture: Art galleries like the Agung Rai Museum of Art in Ubud and the more abstract art-minded Randelli Gallery in Seminyak feature tremendous collections of both local and international works, and Balinese music has an interesting diversity, from traditional gong compositions to jegog, played on large bamboo instruments. But a cultural tour of Bali has to include checking out a barong dance performance. A traditional, sacred ritual, the dance centers on the mythical Barong, a lion-like beast and represents all that is good, in battle against the evil Rangda. The outdoors: Snorkeling and diving? Check out Pulau Menjangan, a neighboring island accessible from Bali that features a nearly-unparalleled (in the region) coral reef. Hiking? Get to the village of Munduk, where waterfalls and lakes are only a short walk (or long walk, if you�d like) away. Want to run away from lava in slow motion like in an action movie? Don�t do that! But you can climb to the top of one of the island�s volcanos and pretend. 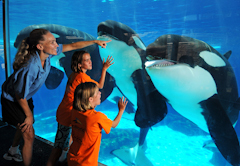 There are plenty of ways for visitors to interact with nature in fun, active manners. It�s beauty: It�s easy to describe almost anywhere in the world as �beautiful�; if one searches a country long enough, the land is sure to yield a stunning vista or two. But just look at the photos to the side, here. Between the lush green grasslands and the aqua blue Pacific Ocean drifting up on shore, postcard-worthy views are everywhere. Want to hear more? Reach out to your Mitch-Stuart, Inc. representative today! 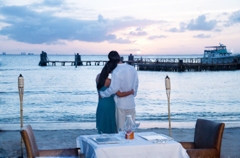 The average high temperature in Aruba peaks at 91 degrees in September, and falls all the way to � 80 degrees in January. In Bermuda, the highs run from 70 in the winter to 86 in the summer. Consistency is the norm for Caribbean weather, where any time of year is beach time. No matter what style of vacation your donors seek, though, they can find it in the Caribbean. A consistent favorite for both travelers and auction organizers, travel packages for non-profit auctions that involve islands like the Bahamas, St. Croix and St. Thomas can fetch big money and really impress gala attendees. 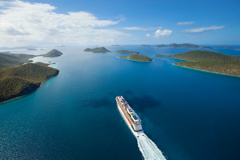 When a potential auction bidder sees the words �Caribbean vacation� on display, he or she may be thinking about several different types of trips. 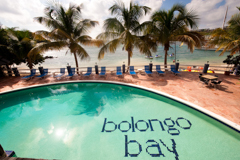 Postcards sent home from Caribbean sojourns, of course, tend to emphasize beautiful beaches � and with good reason. The sands of Aruba, the Bahamas, St. Thomas and the U.S. Virgin Islands, among others, are all welcoming to beachgoers of all ages and stripes. For those who want to interact with the environment rather than pull up a chair and relax, there�s plenty of opportunities for everything from swimming with the dolphins to sailing or paddleboarding across the tops of the waves. There�s more to island life than beaches, though. Head to Bermuda, for instance, for an adventure that includes art galleries and horseback rides. 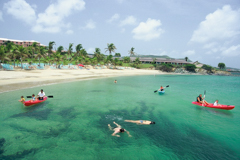 Tour the Cruzan Rum factory on St. Croix, or hike through the island�s rain forest. 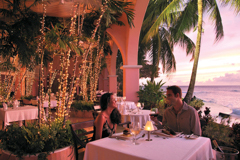 Pull out the credit card on St. Thomas for what many describe as the �duty-free shopping capital of the world.� Hit the hot spots of Aruba, with restaurants and bars in the resorts that line the beach. Not every Caribbean expedition requires sunscreen and bathing suits. 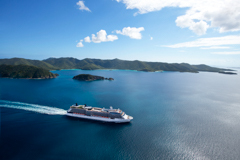 For the island-goers interested in sampling the entire region, the Caribbean Sea has, at any individual moment, one of the highest concentrations of cruise ships in the world. Make stops at all of the above islands and more, with excursions for beach lounging, shopping and exploring. 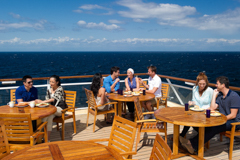 Along the way, enjoy the luxuries of cruise travel, from expansive staterooms to all-you-can-eat meals and on-board entertainment. 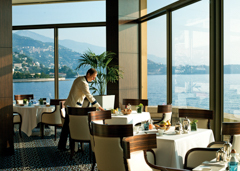 It�s like a Whitman�s Sampler of some of the most gorgeous travel destinations on the globe. When you (or a donor) dines out, do you check the label on the bottle of wine? Can you tell the difference between a single-malt scotch and a blended whiskey? Do you know about the latest and greatest Indian Pale Ales? We pride ourselves at Mitch Stuart, Inc. in putting together charity auction travel packages that take donors around the world in pursuit of their passions. For some, that might be great sporting events, for others it could be beautiful beaches, and for still others, it�s the lure of trying a new beer, wine or spirit � or just seeing where a favorite label is made. 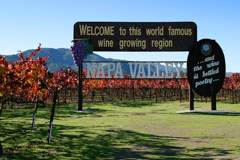 An area does not get the moniker �Wine Country� without earning it. There are more than 400 wineries in the state of California north of San Francisco, according to the travel experts at Fodor�s, and while seeing each of them may be a bit ambitious for a week-long sojourn, Mitch-Stuart, Inc. can help a winning donor make it to plenty of them. 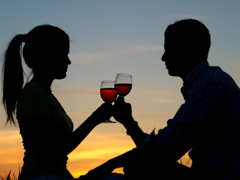 Napa and Sonoma Valleys are favorites of wine connoisseurs around the world, and wineries like Grgich Hills Estate, Frog�s Leap and Long Meadow Ranch give aficionados and amateurs alike a deeper understanding and love for vino. 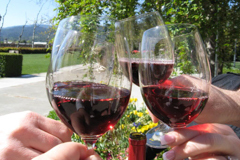 In addition, travelers can discover smaller wineries by taking our private winery tour, which allows guides to introduce oenophiles to the hidden gems of Northern California wine country. One can combine high-end beverages with sun-soaked beaches, too. San Diego has been called the Craft Beer Capital of America, and a trip to any one of the more than 80 licensed breweries and brew pubs will show why. Hop aboard the San Diego Beer Train and see the coastline while tasting local brews, or stop in at famed microbreweries like Stone Brewing Co. and AleSmith Brewing Company separately. 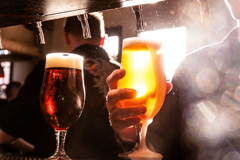 Either way, there�ll be a variety of beer for every taste. Sandcastles and plastic shovels. Tropical drinks with little umbrellas. The company of a breezy novel. From childhood through the retirement years, people may change how they enjoy summer days on a beach, but the desire to set up shop on a sandy shore during June, July and August never abates. Whether it�s a family-friendly trip to warmer climes or a wild weekend away, Mitch-Stuart, Inc. can help send your donors on any type of beach adventure with its charity auction travel packages. 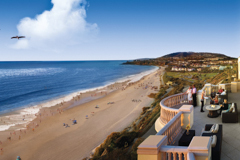 Which of the numerous beach travel packages should your organization put up for auction? It depends on who are your target bidders. Some of the most beautiful beaches in America are found on the coasts of Florida, and for those looking for a combination of sand and nightlife, Miami Beach tops the list. 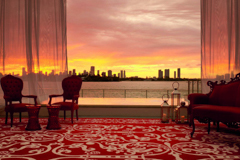 Resorts like the Blue Moon Hotel and Mondrian South Beach cater to hip clientele and beachgoers simultaneously; the Mondrian, for instance, is right on the ocean, while also being just blocks away from the best of the city�s nightlife. 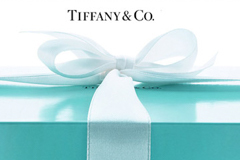 For youthful donors � or donors shopping for gifts for twenty-somethings � there may not be a better combination. 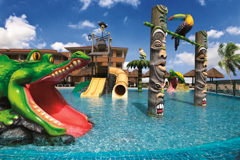 If your donors are traveling with kids, they�re likely to appreciate the ease of a trip to an all-inclusive resort. 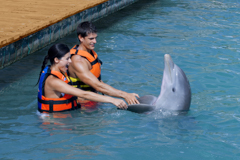 The family-friendly properties of Palace Resorts in Cancun, Mexico, give both children and adults the chance to play. Both Beach Palace and Moon Palace provide great beach access, and kids at Moon Palace will love �The Playroom,� with toys, video games, a mini-theater and two playgrounds. At Beach Palace, Kids Club features its own pool for children, one that includes a water slide that might make the parents a bit jealous. After the kids have grown up and moved on, vacations can be a chance to mellow out, to relax while sitting oceanside. If it�s an escape that a donor desires, the island of Kauai may be the perfect trip. Attracting fewer tourists that Oahu or Maui, Kauai features beaches just as beautiful, but in a more laid-back atmosphere. 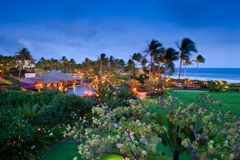 And at the Grand Hyatt Kauai Resort and Spa, guests can have dinner beachside with the hotel�s �Share the Stars with Someone You Love� sand-side service or attend a luau while spending time an ocean away from the stress of day-to-day life. Spring officially turns to summer on Saturday morning, and travelers around America will head to warm-weather destinations like Miami (June average high temperature in Miami: 87 degrees) New Orleans (average high: 90) or even Las Vegas (average high: 100). But sun worshippers don�t have to spend their vacations sweating. With average highs in the low 80s, even at the peak of summer, Hawaii is a beautiful, temperate place to send donors and their families. 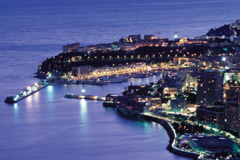 It�s also a place of surprising diversity, with activities for everyone to be had somewhere throughout the island chain. 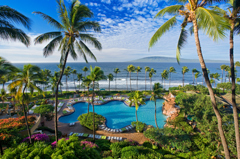 At Mitch-Stuart, we offer a variety of charity auction travel packages that can give your donors once-in-a-lifetime opportunities, represented by four different Hawaiian islands. From 36 holes of championship golf to snow-capped mountains, the �big island� of Hawaii hosts nearly all climates, and therefore nearly all sorts of adventures. But there are more esoteric activities on the island as well; Kona coffee can only be produced on the big island, and many of the farms that grow the beans have tours and tasting rooms to visit. Also worth seeing: Kilauea, one of the world�s most active volcanoes. Maui has a mixture of urban and rural areas, offering a little bit of everything for the traveler. Those looking to commune with nature can head to Haleakala National Park and watch a spectacular sunrise or sunset from the summit of the dormant Haleakala volcano or hike through the Haleakala Crater, which sinks more than 2,500 feet into the island floor. City slickers, meanwhile, can walk through Lahaina, the former capital of the Kingdom of Hawaii, and check out the restaurants and nightlife of Front Street. Travelers looking for a more city-like vacation experience would do well to head to Oahu. The island, informally known as �The Gathering Place,� is home to Hawaii�s capital, Honolulu, and about 75 percent of the state�s population. It�s also home to one of Hawaii�s best-known tourist destinations, Waikiki Beach, where white sand is reserved for both sunbathers and surfers and where nightlife reigns just steps from the ocean. Nicknamed �The Garden Isle� for its verdant fields and forests, Kauai may be one of the lesser-known outposts, but its beauty makes it worth a visit. 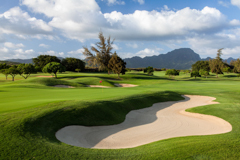 The island is the home of the Princeville at Hanalei, one of the world�s great golf clubs; its Prince course is one of the best on any of the Hawaiian islands. For those who like their outdoors time sans crooked sticks and golf carts, boating adventures along the Na Pali Coast are very popular. When a charity auction trip aligns with a desire from a bidder, it means a satisfied donor and a big check to a worthy cause. This time of year, a top priority for plenty of shoppers is finding a gift for Father�s Day, and hopefully one that does not involve another necktie or barbecue grill gadget. One of the most common types of Father�s Day gifts is golf paraphernalia, be it a new oversized driver or a set of golf ball cufflinks. There�s an entire industry dedicated to creating golf-nut knick-knacks, and Father�s Day is that sector�s equivalent of Christmas. 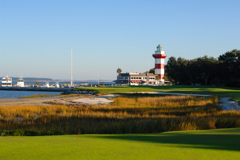 Hilton Head: In terms of sheer density of golf courses, it may be difficult to beat Hilton Head, SC. There are more than 20 courses on the island itself, with another dozen-plus more in neighboring cities. Add in the possibility of year-round play, and it�s little wonder that the area is one of the country�s premier golf destinations. 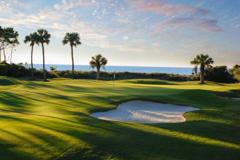 Each of Mitch-Stuart�s auction travel packages to the island include rounds at three different courses, and with our concierge service, extra outings can be arraigned with a single phone call. 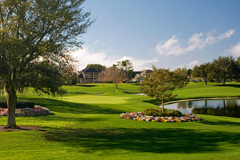 Orlando: Every year, around the beginning of spring, the Arnold Palmer Invitational takes place at the Bay Hill Club and Lodge near Orlando, FL. 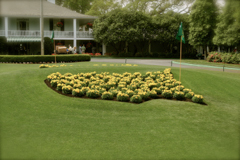 Mitch-Stuart can�t get your donors on the course that weekend, but during the rest of the calendar year the winners of the �Bay Hill Brings You the Best of the Best� trip can play twice on the 18 holes used as a run-up to the Masters. Another package also comes with a one-hour private lesson with a golf academy instructor and a nine-hole �playing lesson� for those whose golf game is a little less Tiger and a little more Kitten. 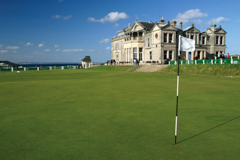 St. Andrews: While golf is the world�s game, it can only have one true home. And that birthplace is in St. Andrews, a small town on the eastern coast of Scotland. It was here that the sport was first played, in the 1400s, and it also is the home town of the Royal and Ancient Golf Club, one of two organizations in the world that sets the rules of the game. Bidders who win Mitch-Stuart�s �Home of Golf� package get a $900 gift card to be used at the Torrance or Kittocks courses at the five-star Fairmont of St. Andrews. In addition, while staying at the Fairmont, experienced travelers can enter the local lottery for a chance to play the Old Course, the world famous 18 that hosts The Open Championship every five years. As summer approaches, the allure of European travel is hard for the wanderlust-infected to ignore. Kids are out of school, vacation time at companies tends to be easier to procure and long flights can be rewarded with longer stays, rather than flying halfway around the world for a weekend. For those looking to see the best of what the E.U. 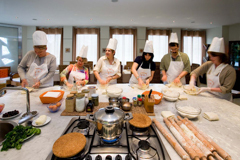 has to offer, Italy features one of the best combinations of modern and the �old world,� outdoorsy charms and comfortable surroundings, and city bustle and countryside relaxation. 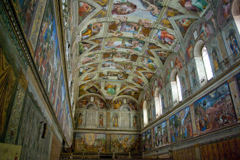 It�s the type of destination that appeals to a wide range of people � meaning that non-profits organizing a fundraising auction or event can maximize interest and bidding with a trip to one of Europe�s great vacation spots. 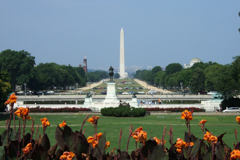 And once a donor has secured a trip via one of our consignment auction travel packages, you can also act as concierge by referring them to any of the following monuments and attractions throughout the country. 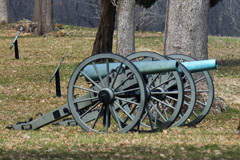 Of course, those interested in history will find a plethora of day trips and activities in the country. 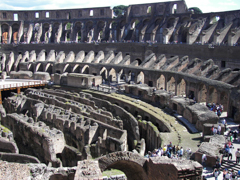 From the Sistine Chapel to the Colosseum and the ruins of Pompeii, Italy is a high school history textbook come to life. 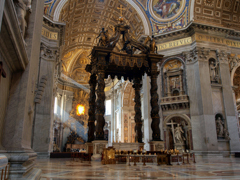 The country is especially loaded with religious artifacts, like the centuries-in-the-making Basilica di San Marco, St. Peter�s Basilica and, though it is technically its own country, the Vatican. Even the famed Roman Forum has a great deal of religious history attached; among the destroyed buildings are the foundations of basilicas and temples. 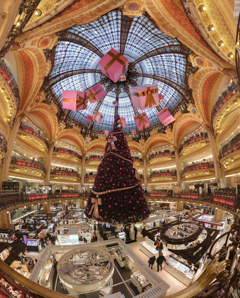 One of the easiest ways to work off all the extra calories from Italian cooking may be to head out on a shopping trip. 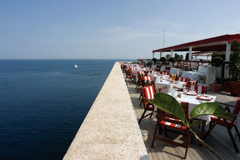 Whether it�s the modern art pieces of Capri�s Pop Gallery or the high end fashions of Milan, there are enough outlets in nearly every major city to force a traveler to check extra baggage on the flight home. 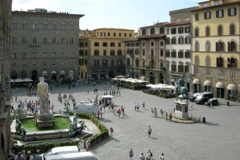 But it is Florence that may attract the most shoppers at all price points, from the luxury shops of Via Tornabuoni to the markets and antiques of Mercato Centrale. 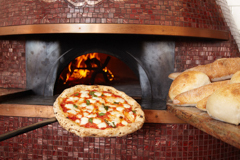 For a more �local� experience, head to Cascine Market on a Tuesday for steals and deals. Imagine, for a moment, being a driver. Not a freeway driver, or a backseat driver, but a racecar driver, careening around turns, trading paint with your rival and earning the checkered flag. Or how about being out on the range, riding horses through central California? 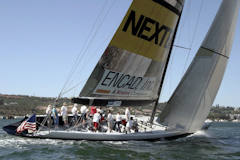 Maybe the sea calls instead, with you aboard an America�s Cup-qualifying yacht? 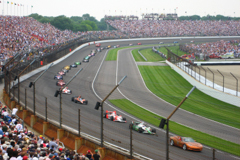 Those seeking to hear the roar of an engine can pick either the closed-track thrill of NASCAR or the open road of the American West with different packages. 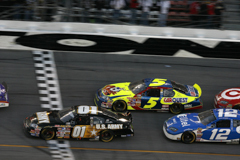 For the four-wheel enthusiasts, there�s our trip to Charlotte, North Carolina for the ultimate NASCAR experience: A trip to the NASCAR Hall of Fame and an eight-lap sprint at the Charlotte Motor Speedway. 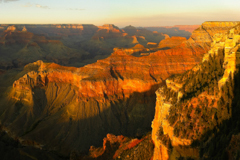 If the added rush of a motorcycle is more the speed of your donors, they can find themselves riding a Harley Davidson through Nevada and Arizona, checking out the Grand Canyon, Sedona and Route 66. 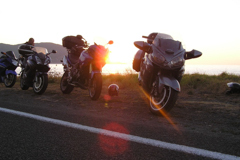 Or, their motorcycle excursion can involve the beachside views from the Pacific Coast Highway in Southern California, as they cruise between Los Angeles and San Diego. 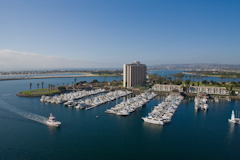 If the ocean is more appealing, your donors can spend five days and four nights in San Diego�s stunning Mission Bay, culminating in an afternoon experience aboard a racing class yacht. Climb aboard the Stars & Stripes, which competed in the 1995 America�s Cup, and either get hands-on experience or sit back and take in the beautiful ocean views. Afterwards, head back to the Maritime Museum of San Diego and jump on a tall-sail adventure for a four-hour tour, or stay on dry land and check out the boats, sailing ships and submarines on display. Not all adventures need speed or engines, though. 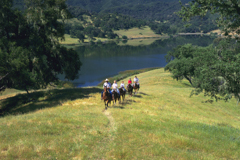 Be a cowboy for four days and three nights in Solvang and take on the more than 50 miles of horse trails. At the Alisal Guest Ranch and Resort, visitors get to indulge in a throwback lifestyle, one more suited to a time when the American West was about exploring a frontier. After horseback riding, unwind with some fishing at Alisal Lake (which is reserved for guests of the resort), either in solitude or with a guided fishing trip. Hunting is, as one might expect, not on the menu, but one can combine an afternoon learning archery with the barbecued steak of the Ranch Room to get the benefits of the hunt without the hours crouching behind trees or the orange vests. 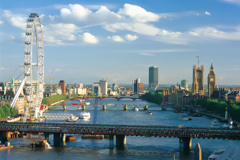 Two years ago, London captured the attention of the world during the 2012 Summer Olympics. 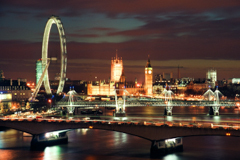 But the United Kingdom�s largest city is not a tourist destination only in Olympiad years. 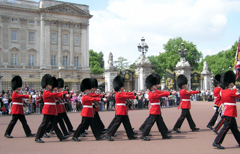 Mitch-Stuart, Inc., offers several nonprofit travel auction packages that take donors to England to enjoy all that the city has to offer, and they are some of the most popular in the catalog. Here are some of the reasons why. England has an unparalleled history in sport, including rugby and tennis, and London has been the epicenter. 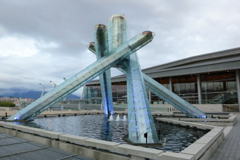 It is the only city to host three different Olympiads of the modern Games era. But the country may be best known for the Barclays Premier League, one of the top football (or soccer) leagues in the world. 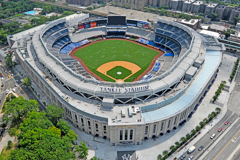 Some of the country�s best-known teams play in London, like Chelsea and Arsenal, and six teams overall competed in the top flight�s 2013-14 season. London is also the home of Wembley Stadium, the second-largest in Europe (with a capacity of 90,000 spectators) and home to the 2011 and 2013 UEFA Champions League (the highest honor in European club soccer) championship matches. 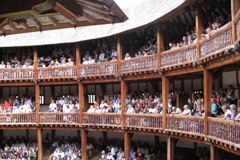 Those more interested in culture can make their way to the West End, one of the world�s foremost theater districts. Almost 15 million tickets were sold to productions there in 2013, including shows like �The Mousetrap� (the world�s longest-running show), �Les Miserables,� and �The Phantom of the Opera.� In all, more than 40 theaters make up the city�s �Theatreland,� and many of those contain elements of classic Victorian architecture, making it a place to see works of art inside of works of art..
Of course, it�s hard to think about London without picturing the historical landmarks. The Tower of London, the famed castle along the River Thames, is more than a millennia old and today hosts tours, exhibits and historical reenactments. The Palace of Westminster, just up the river, is the home of the Elizabeth Tower, better known as Big Ben, along with being the meeting place of the Houses of Commons and Lords. Buckingham Palace, the official London residence of the monarchy, is less than a mile west of the Palace of Westminster. There�s nothing like the energy of city life: The hustle, the bustle, the stop-and-go traffic, the constant feeling of the crush of humanity closing in all around you, the � smog. Sometimes, as the commercial says, you �wanna get away.� With Earth Day approaching, it�s time to celebrate those outdoor destination vacations, those locations where we can go to get out of the office and commune with nature, whether it�s an untouched beach, a snowy mountainside or anywhere else in the great wide open. For spectacular coastal views, the Northern California ocean-and-mountain favorite Big Sur may be the best combination of nature and civilization. 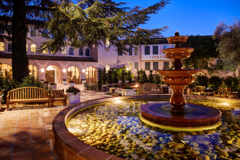 Staying at the Highlands Inn in Carmel means basing one�s vacation in a city of less than 4,000 people, according to the 2010 Census, and being close enough to one of the California coast�s most gorgeous views to see it from the hotel. 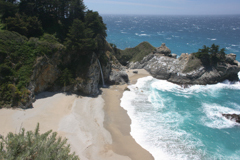 From there, take a car ride down the Pacific Coast Highway down through other coastal villages like Lucia and Gorda, or explore the Los Padres National Forest to the inland east. If your donors prefer big mountains without the ocean view, Jackson Hole may be the trip to offer. 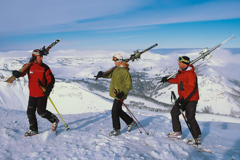 Whether it�s on skis or by snowmobile, the Wyoming resort town makes for an excellent home base while exploring the mountain west. With Grand Teton and Yellowstone National Parks just miles away, visitors get glimpses of a frontier life long ago left behind, while also taking in a serenity and calm that city life rarely affords. At the end of the day, they can also soak in an outdoor heated pool or grab a drink at the Rustic Inn�s lobby bar before heading back to their cabin. When it comes to wilderness in America, though, there is no land less explored than that of Alaska. While Mitch-Stuart, Inc., can�t take donors by helicopter into the middle of the vast, unconquered territory of our 49th state (�yet�), we can send them as close as possible, without having to scrimp on luxury. 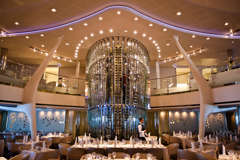 A seven-day cruise aboard a Celebrity Cruises ship can take explorers past the Inside Passage, to the Misty Fjords National Monument (and its 2.2 million acres of wilderness) and the Hubbard Glacier. And if all of that unspoiled beauty becomes too much, your donors can retire to their veranda stateroom, or perhaps the on-ship spa. The biggest awards show of the year, it would seem, is always the Oscars. It is the one that inspires day-long media coverage from the red carpet to the post-show parties, the one that inspires living room parties and betting pools and the one that inspires much of America to say, �Honey, we should really go see that movie� just before settling in to a viewing of �Paul Blart: Mall Cop� on a Netflix-rented DVD. But it�s far from the only occasion for the talented and famous to rub shoulders � and many of the others can be more fun than the sometimes-stuffy Academy ceremony. 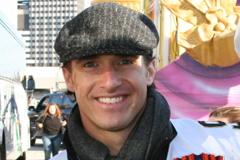 Mitch-Stuart can help send one of your donors via our charity auction travel packages to one (or all!) of these, which could make your charity the winner of Best Non-Profit in a contributor�s eyes. MTV Music Video Awards (November) and Movie Awards (April): If your donors have kids who would be much more interested in awards like �Best Kiss� and �Best Villain� than �Best Adapted Screenplay,� send them to Los Angeles for either of the MTV awards shows. Loaded with young Hollywood stars and live music performances, there�s rarely a dull moment. The ESPYs (July): One would think that winning championships and, for the professionals, very large contracts would be enough, but once a year ESPN brings the top stars of the sports world together to celebrate the preceding 12 months. There are lots of opportunities throughout the awards week to rub shoulders with the athletes (for those who can reach LeBron James� shoulders, at least), and seeing so many heroes of the gridiron/diamond/court together in one place can be a nostalgic trip for the right donor. American Music Awards and Country Music Awards (November): Are your donors a little bit country, or a little bit rock and roll? November brings awards shows for each, with the AMAs handed out in Los Angeles and the CMAs awarded in Nashville. In both cases, the performances on the stages are only matched by the �secret shows� and other concerts held in the vicinity leading up to and following the awards presentations. Seeing a Chicago Cubs game from inside Wrigley Field is a sports experience. 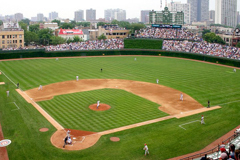 But seeing the game from one of the Wrigley Field �rooftop clubs,� just outside the stadium, is a unique view of both the game and the city of Chicago. 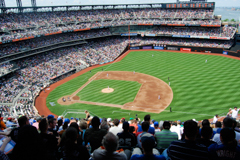 From the complementary food and beverages (no stale nachos or boiled hot dogs here) and the HDTV monitors to stay close to the action to the extra-wide stadium-style seating, the best visit to the ballpark in Chicago does not involve stepping foot inside the park at all. 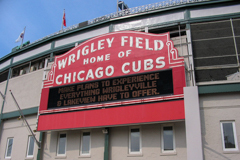 It�s the type of trip for which sports fan donors will go wild � and with a stay at one of Chicago�s best hotels included in the package, even the baseball-phobic will enjoy. After a 100 million pound renovation, The Savoy has continued to define luxury travel for visitors from around the world. 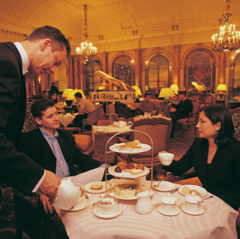 Central to many of London�s great museums and theaters and with a sparkling view of the River Thames, The Savoy is the place to stay in London in order to really feel at one with the city. Mitch-Stuart can send your donors there, too, for a five-night stay that includes $500 either in dining credit at Gordon Ramsey�s Savoy Grill or for afternoon tea at the Thames Foyer. But for a truly once-in-a-lifetime experience, send your donors to Downton Abbey. Technically the PBS hit television show is fictional, sure, but Mitch-Stuart has a package custom-made for the show�s fans. 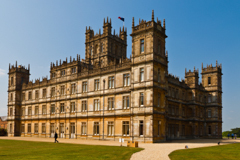 It includes four nights at The Royal Park in central London (with a fifth night at The Vineyard Hotel), afternoon tea at the Lanesborough Hotel, and, most notably, a trip to Highclere Castle, the primary shooting location for �Abbey.� Walk the castle�s grounds, through the gardens and woods, and see the same vistas that Lord Grantham and family view on a regular basis. Afterwards, every episode of the television show will be your donor�s own personal vacation video, and a reminder of one of the best travel moments of their life. It can be intimidating for any non-profit organization, no matter the size, to ask for larger donations. Smaller and mid-sized organizations in particular can feel intimidated to try and add zeroes to the end of donation checks. But there is only one way to get bigger donations: Ask for bigger donations. Since we pair with organizations all the time to offer vacation auction packages sold on consignment, we hear the objections all the time, the thinking from some groups that their donors don�t have the money to be able to bid on a trip. Our response is fairly straight-forward: Give your donors a chance. Just ask! These people like you. A charity auction at a gala or other fundraising event is a celebration of like minds, brought together by a single passion or outlook on life. It is your organization, your passion, which is driving that room. These are not strangers, they are not people on the other ends of cold calls, but your non-profit�s friends. If you can�t ask your friends for help, who can you ask? Shopping lists can line up with auction lists. Unlike a straight donation, a charity auction comes with its own tangible reward. Beyond the satisfaction of helping a group do good, donors can also win memorabilia, dinners and even the trip of a lifetime. Maybe it�s a proud parent who was looking for a graduation gift for a daughter or son. Maybe it�s an anniversary surprise. No matter what the reason, your donors may be in the market for a vacation � and surely they�d like to help your non-profit at the same time. All it takes is an excuse. It�s impossible to force someone to donate money. Strong-arming someone into opening his or her wallet is not charity. But, it can be easier for a person to donate more money if there�s a secondary reason behind it, or an incentive as big as a ticket to the Grammys, a ski weekend in the Canadian Rockies or just a much-needed vacation. Giving people another impetus to donate can loosen up pockets. This Sunday, Ellen DeGeneres and a cast of thousands will take over the Kodak Theater in Hollywood for the Academy Awards, and viewers at home will be treated to the view of a room full of movie stars. But, of course, Tom Hanks and George Clooney aren�t the only film-famous sights to see in Los Angeles. Tinseltown has long been immortalized on the big screen, and a tour of the city will visit any number of well-known vistas. 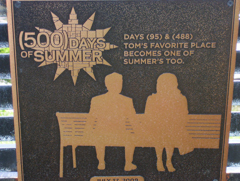 One of the best L.A.-spotting movies of recent vintage was �(500) Days of Summer,� which took place in the city�s newly revitalized downtown district. 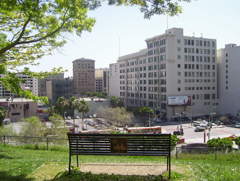 A daylong walk of the area can take tourists to the park where Zooey Deschanel�s Summer and Joseph Gordon-Levitt�s Tom bonded (Angel�s Knoll, where the bench at which they sat even bears a plaque commemorating the film), the bars they frequent (the karaoke scenes were filmed at the Redwood Bar, while Tom punches out a romantic rival at Broadway Bar) and even the building where (spoiler alert!) Tom gets his big interview (the Bradbury Building, also a major location in �Blade Runner�). Of course, a film with a title like �L.A. 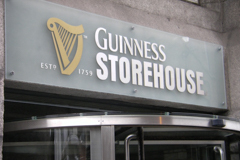 Story� is going to be a treasure trove of on-the-street locations. The classic Steve Martin comedy takes place all over the city, with the Museum of Contemporary Art and Venice Beach each providing key settings for Martin and company (including a very young Sarah Jessica Parker). But the most noteworthy place seen might be during the film�s �graveyard� scene, featuring a cameo from Rick Moranis, at Hollywood Forever Cemetery. The gravesite has been seen in �The Player,� �Bonfire of the Vanities� and countless television shows, from �Six Feet Under� to �Columbo.� Along with its burial plots, Hollywood Forever is known as one of L.A.�s most morbid venues for movies (the Cinespa screening series in the summer) and concerts (at the cemetery�s Masonic Lodge). While most of those locations are still in operation today, one famous L.A. film landmark sits empty, now existing almost solely to be used in television and movies. Johnie�s Coffee Shop sits at the corner of Fairfax Avenue and Wilshire Boulevard, non-operational since 2000, and stands out from the surrounding buildings thanks to its bright blue-and-white striping and neon signage. But even if it�s not still slinging cups of joe and diner food, Johnie�s is still a favorite of location directors; �The Big Lebowski,� �Reservoir Dogs� and an episode of �Mad Men� were all filmed here. But its most pivotal scenes might have been in the late �80s cult classic �Miracle Mile,� where it stood in as the caf� called �Fat Boy� and where Anthony Edwards first tells the assembled masses about an impending nuclear strike. The 2014 Winter Olympics is days away from finishing, with the elaborate Closing Ceremony planned for February 23. Once the big show leaves town, though, Sochi will still have all of the infrastructure improvements, added attractions and other bells and whistles that come along with hosting an event the size of the Olympiad. While going to the actual Olympics can certainly be a once-in-a-lifetime experience, there are still remnants of the Olympic experience left behind in host cities and countries. Give your donors the chance to take advantage of all the perks of the Games without all of the hassles of an overstuffed host city by offering a trip to one of these former homes of the Winter or Summer Olympics. 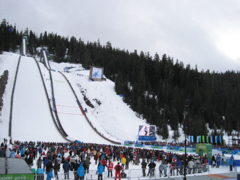 Vancouver may have been the host of the 2010 Winter Olympics, but nearby Whistler was the home of many of the skiing events, thanks to the presence of Whistler Blackcomb. 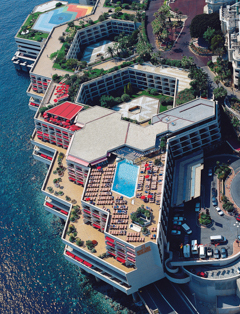 The resort, the largest in North America, already had its own Olympic history: It was conceived for Vancouver�s bid for the 1968 Winter Olympics, then constructed anyway when the International Olympic Committee awarded the Games to Grenoble, France. Almost 50 years after those games, Blackcomb finally got to host its own Olympic races, including the alpine skiing series. 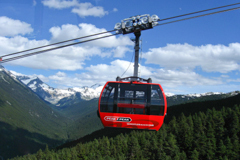 But even if your donors are not the adrenaline junkie types, they can drive the Sea-to-Sky Highway, considered by many to be one of the world�s most beautiful road trips, or take the Peak 2 Peak Gondola that links the Blackcomb and Whistler mountains. When the IOC brought the Games to London in 2012, it knew that the Olympics would be held in a modern city well-equipped to host the world. But the competition still needed a central home, a place that would live, breathe and pulse the spirit throughout those 16 summer days. With that in mind, what is now known as Queen Elizabeth Olympic Park was created. 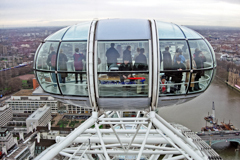 Visitors to the park will be able to get a bird�s-eye view starting in April, when the ArcelorMittal Orbit, an observation tower with two platforms that, combined, overlook the enormity of the space. 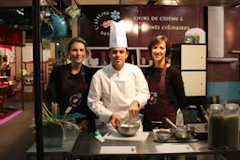 It�s all well and good to see the Olympic sights, but experience is the key word when visiting Albertville, France, the host of the 1992 Winter Olympiad. At the La Plagne Bob Experience, visitors can take off down the same bobsled run used during the Games more than 20 years ago. 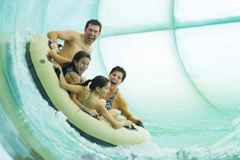 Whether it�s with friends sitting behind a professional �driver� in a bobsled going 120 kilometers per hour or riding solo in a luge/sled hybrid, your donors can experience a taste of the Olympic spirit. Cheering crowds, gold medals and sponsorships not included. Destination Spotlight: Some Like it Cold! 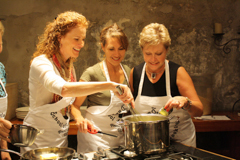 Grab a mug of cocoa and read about some terrific trips � and relax, knowing that Mitch-Stuart will handle every detail of the vacation experience from the minute the trip is sold to the time your donor returns home. 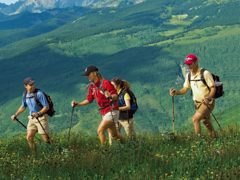 Explore your passions for adventure and relaxation in Whistler. 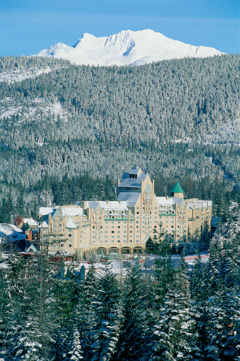 A scenic 90-minute drive from Vancouver along the Sea To Sky Highway brings you into the heart of this alpine valley. Renowned as the top-ranked ski area in North America and home of the 2010 Olympic & Paralympic Winter Games, Whistler easily rivals the major ski regions of Europe, and offers true ski-in and ski-out convenience. 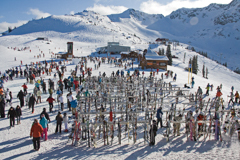 Beyond the slopes, Whistler offers an extensive list of other indoor and outdoor pursuits. Fairmont Chateau Whistler presents a unique collection of dining options that capture the essence of Whistler's lifestyle. Tastefully designed rooms with spectacular mountain or village views were created to blend with the natural alpine setting. Experience an unforgettable adventure as you escape from the everyday into a snow-covered winter wonderland. Fairmont Tremblant offers skiers 94 first rate runs and 600 acres that add up to a ski holiday that will soothe your soul and challenge your skills. The architectural masterpiece of this Mont Tremblant ski resort rooted in the legends of Quebec is the state-of-the-art facilities - climb aboard a high-speed chair lift at the doorstep to ski the slopes of Mont Tremblant Ski Hill and explore the mountains. Fairmont Tremblant sits at the foot of the majestic Laurentian peaks, tucked into the heart of the region's most picturesque village. 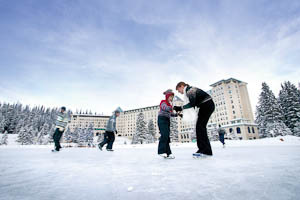 After a day of skiing out on the slopes, indulge in grandeur and relax in accommodating luxury at The Fairmont. 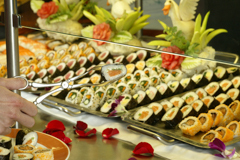 Enjoy culinary delights from magnificent taste providers, treat yourself to a massage, or simply rest in the elegant Nansen Lounge. Proposing a refined choice of wines in the glass, vintage ports, a variety of martinis, or delicious specialty coffees, you will doubtless find what pleases you. World-renowned for a variety of challenging and breathtaking slopes, the West boasts incredible mountains that offer some of the best skiing in the country! Utah has the best white, fluffy powder covering its peaks, Nevada offers an abundance of annual snow-fall, and Idaho has over 20,000 skiable acres for you! From the fantastic snow and four terrain parks of Vail, to the untamed wilderness of the Teton Mountain Range in Wyoming, get ready for world-class skiing in your favorite destination! 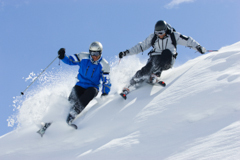 Get your winter sports fix some of Western America�s best slopes! 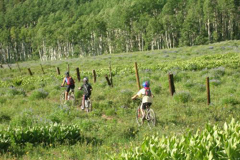 Whether you�re looking for the perfect trail, amazing views, or the charm of a memorable destination, you�ll have access to it all! 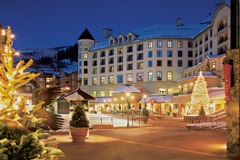 Choose from amazing mountain ridge resort destinations, including Beaver Creek, Breckenridge, Vail and Keystone in Colorado; breathtaking views of Lake Tahoe; and the steep terrain and endless backcountry of Jackson Hole, Wyoming. 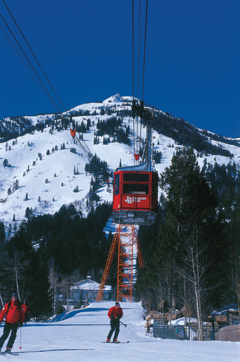 Sun Valley, Idaho was the nation�s first snow ski resort, and continues to draw ski-enthusiasts and snow bunnies with its long seasons. 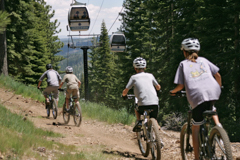 Nine powder-filled bowls, eight stunning peaks, 50 immaculately groomed runs, and three award-winning terrain parks make Park City�s mountains the perfect place for you to discover adventure in Utah! 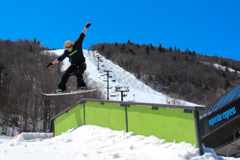 Located in Killington, amid the scenic splendor of Vermont's Green Mountains, the acclaimed Killington Grand Resort offers the ultimate mountain vacation experience. 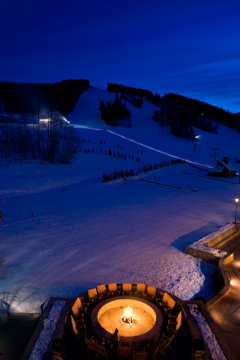 Stay in the heart of an alpine paradise, where skiing, snowboarding, snowmobiling, snowshoeing and sleighing are just steps away on six mountains with 140 trails, and over 70 miles of terrain. Killington is the perfect mountain escape in other seasons too. 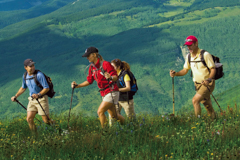 Hike and mountain bike on 45 miles of lift-serviced trails, enjoy 270 holes of spectacular Green Mountain golf on 15 challenging courses in the area, including Killington's championship 18-hole course, and discover breathtaking panoramic views! Antique shops and craft fairs abound, where you�re sure to find the perfect treasure to commemorate your vacation for years to come. Gourmet dining, musical events and local theatres are close by, including the restored Paramount Theatre, so that you can relax in town at a leisurely pace. 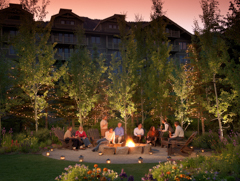 Discover an alpine paradise at the Hyatt Regency Lake Tahoe. Nestled within the Sierra Mountain Range, the stunning locale of this Four Diamond Lake Tahoe hotel is the ideal setting for your next ski vacation! 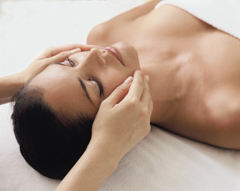 Tempt Lady Luck in the Casino, and after a day on the slopes ease tired muscles with a deep-tissue massage in the world-class spa. From delicious cuisine and inviting guestrooms to luxurious amenities and services, you'll experience an incomparable mountain escape at this Hyatt hotel in Lake Tahoe. Take your pick of ski slopes, from Heavenly and Northstar-at-Tahoe, to Alpine Meadows, and Squaw Valley. 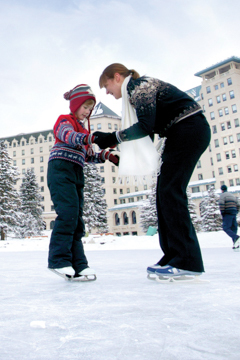 And Tahoe even has amazing options for cross-country skiing buffs. For the travelers who are not alpine-inclined, enjoy a sleigh ride through the woods, or a snowmobile adventure in the Tahoe National Forest! Of course, you could always simply take in the natural wonders and remarkable sights! Mitch-Stuart Inc. (MSI), has entered into strategic partnership with breakthrough bidding technology services leader GiveSmart US, Inc. (GiveSmart). The initiative between the two firms will introduce Mitch-Stuart�s clients to user-friendly technology and services that will make auction fundraising easier and potentially raise more revenue for nonprofits. Similarly, GiveSmart will introduce its clients to Mitch-Stuart, Inc. Easy-to-use bidding technology which allows auction attendees and guests to bid on items via their own mobile devices and/or through GiveSmart�s onsite �concierge� bidders. Technology that allows for expanded participation, more competitive bidding, streamlined tracking and collection�and greater non-profit fundraising. 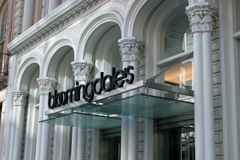 Exemplary personal service, assisting you from beginning to end in using their technology. GiveSmart considers its company an adherent of the �adaptive philanthropy� movement which espouses and embraces change at all levels to continue helping non-profits reach their goals. Part of that philosophy can be described as taking thoughtful risk. According to GiveSmart, this means leaders who are investing in an area where much is unknown, should have a clear learning agenda and plan to experiment so that they can come down the learning curve as quickly as possible. Such a plan will define assumptions to test and important external factors that will require strategy adjustment. To that end, Mitch-Stuart Inc. advises that non-profits research new ideas and products that can take your fundraising and kick it up a notch or two.